The authorities of Primorye said there is no shortage of poultry meat in the region. At the regional administration added that there are major suppliers of high quality meat from other regions of the Russian Federation. The deficit of poultry meat and eggs in Primorye not. This was reported in the press service of the regional administration of Primorsky Krai, commenting on the situation with bird flu at the factory Nadezhdinsky district. 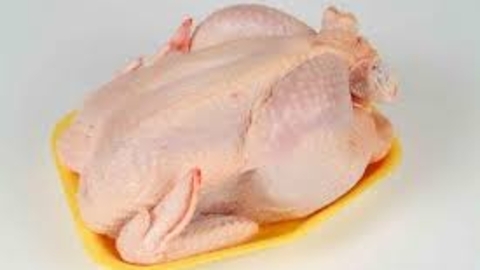 "At the moment due to bird flu, was at the factory Nadezhdinsky district, at the leading poultry farms of Primorye are restrictive measures, but the deficit of poultry meat in the market. Also on the market there are imported egg from other regions, so the shortage of eggs is not expected", - stated in the message. According to the Department of licensing and trade of Primorski territory, now on the market are the major suppliers of high quality meat from other regions. For example, companies of the Belgorod region "prioskolie" and "Clear dawns". To increase production and delivery of production ready, LLC "Amur broiler", is engaged in poultry farming and production of food products from poultry meat. According to the monitoring of prices in retail networks of Vladivostok, the increase in the prices of poultry meat from producers from other regions in the last two weeks are not fixed. The outbreak of avian influenza was discovered at OOO "Nadezhda bird" on the evening of 8 may. The turnover of products the farm is not conducted, all birds must be destroyed. Now the company's management is carrying out preparatory activities, prepares a suitable site for disposal. The virus is not dangerous for people, they're only birds. Representatives of Rospotrebnadzor continue to monitor the health of factory personnel, complaints of acute respiratory infections, flu from people not registered.